We would like to introduce you to Katha’s WaSH Series, published under (SHE)2 project, and their award-winning mobile application, Katha Khazana. 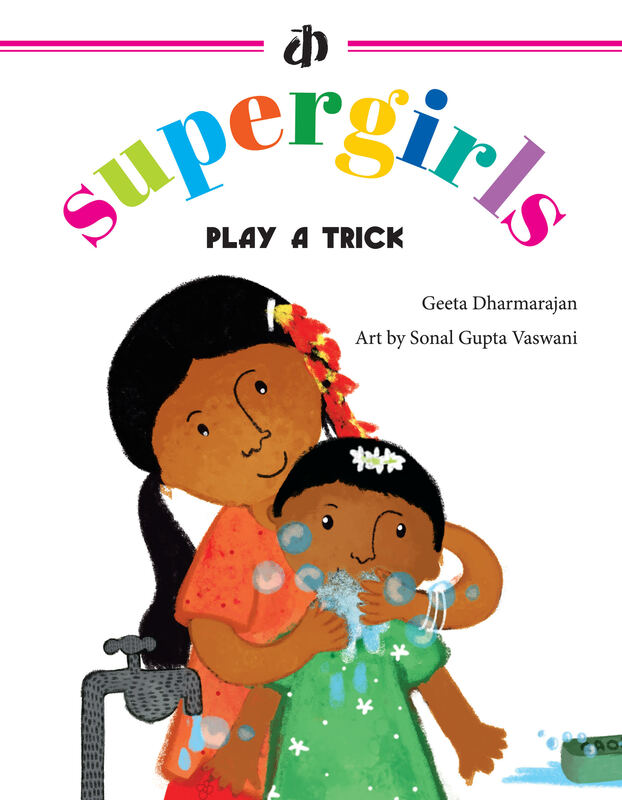 Super Girls short story books by Katha are edited by Geeta Dharmarajan. The (SHE)2 project has been developed for children in schools that support and promote GOVERNMENT OF INDIA’S SWACHH BHARAT Campaign. Supergirls – Play a Trick is a short story about Tara and Nila, two sisters, and Germ Asura (devil/monster). This short story introduces young readers to the why’s and how’s of taking care of their bodies. Kids will learn about how to protect themselves from bad germs. You will be excited to read how they played a trick on germs’ army. You can also find Nila’s friends and Germ Asura’s enemies with a mirror game in the storybook. It is written in a simple and easy language with impressive art illustrations by Sonal Gupta Vaswani. 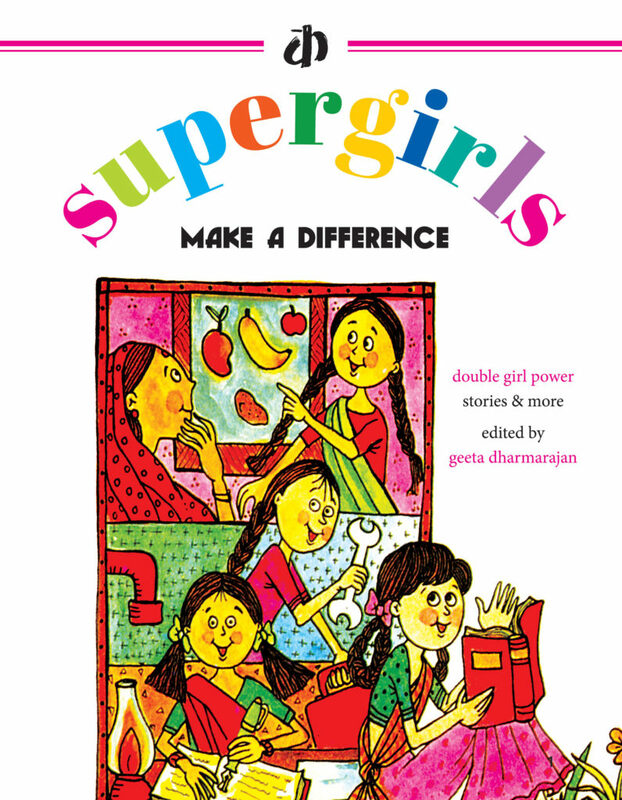 Supergirls – Make a Difference is a short story about Kokila’s Wonderful Pot and many more poems and stories! Kids can dive right into this book of playful stories and poems to learn the basics of personal hygiene, ways to stay healthy, and much much more. This is again an illustrative piece of artistic super girls short story combined with poems. Children will learn how to get rid of monsters on their fingertips. How to get rid of flies with a big broom – the Tale of Makhilal is super interesting. And here comes the action to form Bal Sena and join the WaSH challenge. Do not skip the Super Girls short story of ‘The Monster in the Lake’. 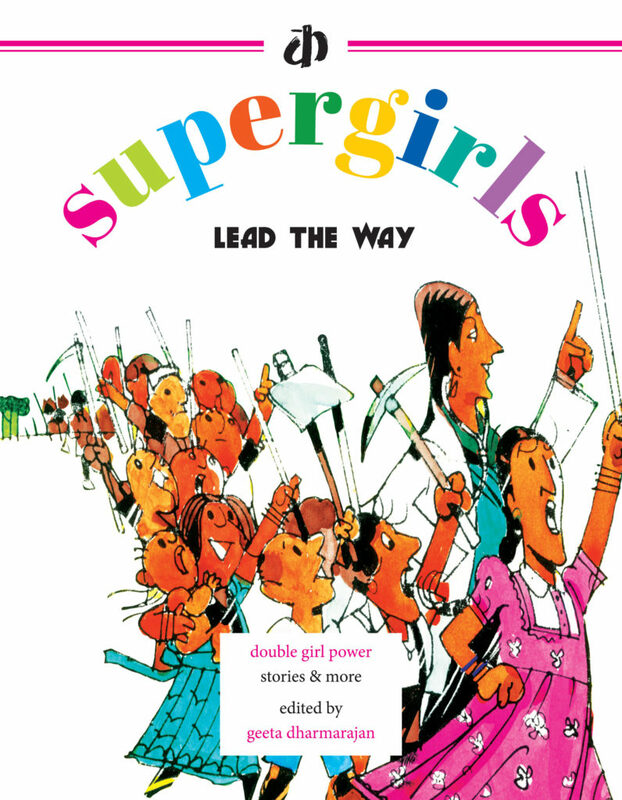 Supergirls – Lead the Way is divided into 11 interesting chapters. You must be curious to know – Is the water you drink clean? How do you find out if it is? What do you do to make water fit for drinking? Read about all the ways that Supergirls ensure their water is safe, and how you can too! Children would like to read and try the ‘home remedies to get rid of lice’ on page 12. 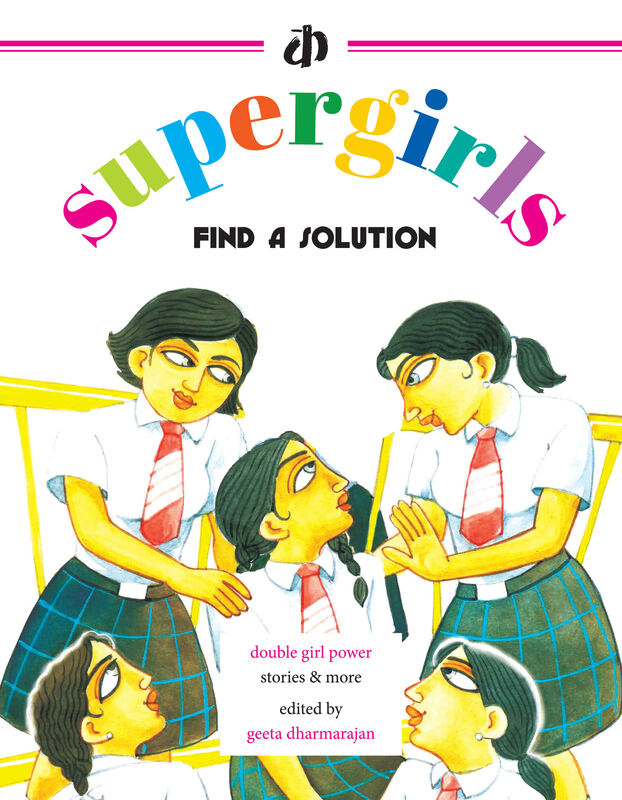 Supergirls – Find a Solution is a simple book that encourages you to think about hygiene. Say yes to good health and no to germs. It is divided 10 into exciting chapters including ‘Pad Man’, ‘The Story of Bhim’, ‘Germ Facts’, etc. You will be surprised to read ‘How to make your own recyclable sanitary pads’! (SHE)2 books foster double girl power! The teacher’s handbook on WaSH! Action Guide for Teachers (for classes 1 – 12) revolves around TA-DAA! Teachers can experiment with their students on their journey of becoming reader-leaders. They can promote sanitary and hygienic practices within their communities by implementing the 9 activities given in the book. Katha Khazana is an immersive story-telling mobile application in Hindi that is backed by 30 years of research practiced in Katha’s Story pedagogy. Through captivating animated videos, games, characters, and narration, it introduces children to big ideas of gender equality, equity, diversity, and inclusivity. Set up in 1988 by Geeta Dharmarajan, Katha is a profit-for-all voluntary organization that works in the areas of education, publishing and community development with the mission to enhance the joy of reading through the power of stories. Please share your reading experience with us in the comments section below. Wish you a very Happy Reading! How to reduce air pollution effects on health?